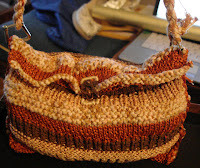 Astrid Cloverleaf: a knitting persona blog: i'm done! 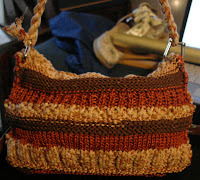 This bag was so much fun to make and put together. I still haven't tried my hand at felting (that might be next!) or at sewing a lining into a bag (that scares me a little! ), but one day I'll try both. i love the colours you used! nice work!